We lost our two Westies a few years ago, so now we only have loaner dogs. Big dogs are wonderful, but only if you can send them home at the end of the day/night! These two are my daughters Great Danes (Rebel, black, 4 months - Rogue, fawn, 8 months), she's a glutton for punishment. We're just not used to the slobber and dog hair everywhere. They had a 2 year old, Steele, he was an incredible Great Dane. He was hit by a car last year. I still miss that guy. 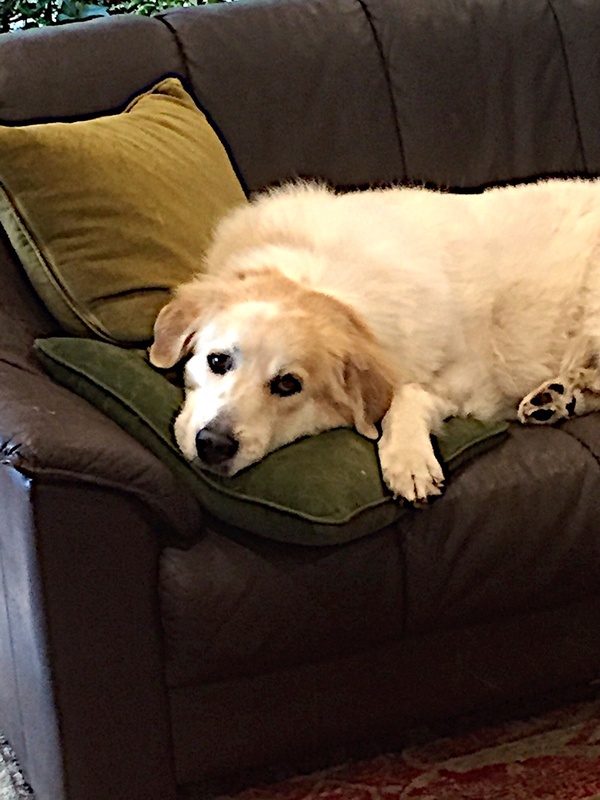 She is a Great Pyrenees/Golden Retriever mix that we adopted about 2 years ago. Someone told us that a Great Pyrenees can look in your eyes and see your soul. She often has that look. The internet warns people that the breed is nocturnal, but who believes the internet anyway.